Picture the incarnadine color of corned beef and pastrami. The shimmering translucence and satin texture of Spanish lomo (cured pork loin) and bresaola and bündnerfleisch (respectively, Italian and Swiss air-dried beef). The rich hammy flavor of bacon, prosciutto, and jamon serrano. The complex umami flavors, not to mention the remarkable shelf life of dry-cured sausage and salami. Food preservation has ranked high on the human priority list ever since Homo sapiens took control of the food chain. As early as 12,000 years ago, our Neolithic ancestors discovered that salt could retard spoilage by drawing moisture out of food. And that salt from certain mines not only did a better job of preserving food, but also made it taste better. The ancient Egyptians used the technique, as did the Chinese. The ancient Romans were the first to record the color- and flavor-enhancing effect of nitrates/nitrites on animal proteins. But it wasn’t until the early twentieth century that scientists identified the connection between these naturally occurring compounds and the suppression of food-borne illnesses like Clostridium botulinum (botulism) and Listeria monocytogenes. In 1925, one Karl Max Seifert, took out a U.S. patent for a meat cure called “Prague Powder”—subsequently sold to the Illinois-based Griffith Laboratories in 1934. Whatever link the substance had to the capital of the Czech Republic has been lost to history. We know what you’re thinking—and we sense your unease: Don’t nitrates/nitrites cause cancer? Isn’t that why people buy anemic-looking uncured bacon and nitrate-free hot dogs the color of the cardboard boxes they’re shipped in? You may remember the controversy that flared in the mid-1970s over nitrates/nitrites—but missed the news that curing salts were effectively cleared of the charges. In fact, the National Toxicology Program, an agency within the U.S. Department of Health and Human Services, conducted a multi-year study to evaluate the safety of sodium nitrite. The conclusion? When used at FDA-approved levels, nitrite is not only safe, but may help counter heart attacks, vascular problems, and sickle cell disease. Still skeptical? According to the American Meat Institute, roughly 93 percent of our daily intake of nitrites (the chemical cousin of nitrates) comes from leafy vegetables and tubers. The maximum amount of nitrites allowed in cured meats by the United States Department of Agriculture (USDA) is 156 parts per million (ppm), and is usually lower than that. In contrast, spinach, lettuce, celery, beets, radishes, and carrots can contain up to 1900 ppm! As far as I know, no one’s sounding the alarm on these vegetables. And those uncured hot dogs or bacon you’ve been conscientiously paying more for? Most are processed using celery or beet juice, whose nitrates turn into nitrites when they react with the saliva in your mouth. In many cases, they potentially contain more nitrites than traditionally cured meats. While curing salts might seem like an obscure subject, a growing number of home pit masters—not to mention recent grads of Barbecue University™—have taken to curing and smoking their own bacon, pastrami, jerky, etc. So here’s a guide to the various curing salts and what you use them for. Prague Powder #1: Alternate names include pink curing salt, InstaCure #1, sel rose, Quick Cure, tinted curing mixture (TCM), Modern Cure, DC Cure, and DQ Cure. Prague powder is a generically named compound (the aforementioned patent expired decades ago) that contains 6.25 percent sodium nitrite and 92 percent sodium chloride as well as an anti-caking agent and a very small amount of FD&C Red No. 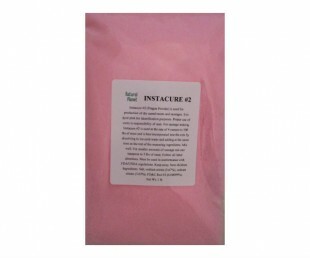 3 to dye it cotton candy pink and distinguish it from other salts in your kitchen. A mere 4 ounces will cure 100 pounds of meat (use 1 level teaspoon for every 5 pounds of meat). As some of its alternate names imply, it works quickly. Meats like sausage can be smoked or cooked right away. If brining, use 3 ounces per gallon of water and allow enough time for the salts to penetrate the food, usually 24 hours. Follow the manufacturer’s directions carefully. Again, nitrates/nitrites can be toxic when not used in the recommended proportions. Use for wet-cured hams, jerky, salami, pastrami, sausage, cured fish, corned beef, and bacon. 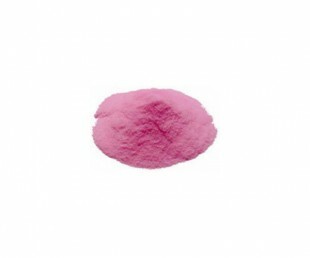 Prague Powder #2: Sometimes sold as InstaCure #2 or Slow Cure, this coral-colored compound contains 6.25 percent sodium nitrite, 4 percent sodium nitrate, and 89.75 percent sodium chloride (salt). While Prague Powder #1 works quickly to cure meats, the antimicrobial powers of Prague Powder #2 are released over time (weeks or months versus days) as the nitrates morph into nitrites. One level teaspoon will cure 5 pounds of meat. Use for products that will be dry-cured for an extended time, such as country-style hams, prosciutto, salami, pepperoni, and other dry sausages. Note: Prague Powder #2 is not sold in Canada, where nitrates are prohibited. 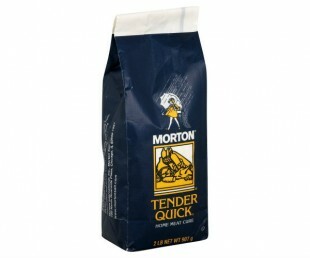 On a side note, Tender Quick® is sometimes used to “hack” a smoke ring. 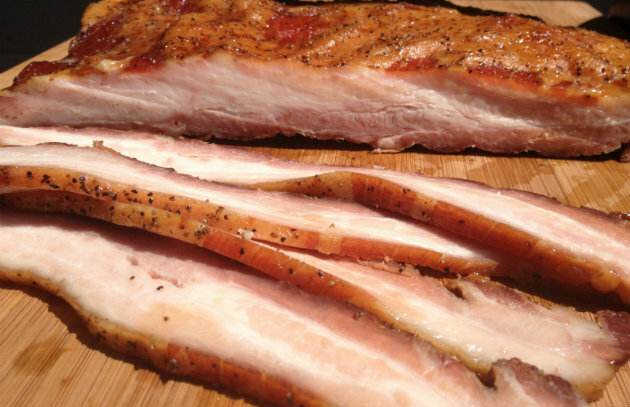 Unscrupulous competitors on the barbecue circuit sometimes “paint” their meats with a mixture of Tender Quick® and water to fake or exaggerate a reddish-pink smoke ring. For the record, contests sanctioned by the Kansas City Barbecue Society (KCBS) no longer include smoke rings in their judging criteria. 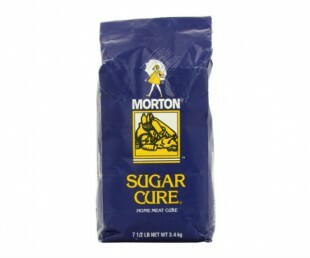 Morton® Sugar Cure® (Plain): Like the Tender Quick® above, this product from salt purveyor Morton® contains both sodium nitrite and nitrate. But some of the salt is replaced by sugar, making it an excellent choice for bacon, hams, and jerky. Follow package directions. Not sold in Canada. 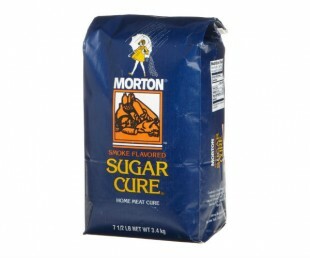 Morton® Sugar Cure® (Smoke Flavored): Recommended by the company for long dry cures (not brines), this product is chemically similar to the Morton® Sugar Cure® above. But it also contains hickory smoke flavoring, spices, and dextrose. Often used for hams or bacon. Now get technical: Learn how to use curing salts for curing and smoking. What are YOUR favorite meats and seafoods to cure? We’d love to hear from you and see your photos on the Barbecue Board or the Barbecue! Bible Facebook page.